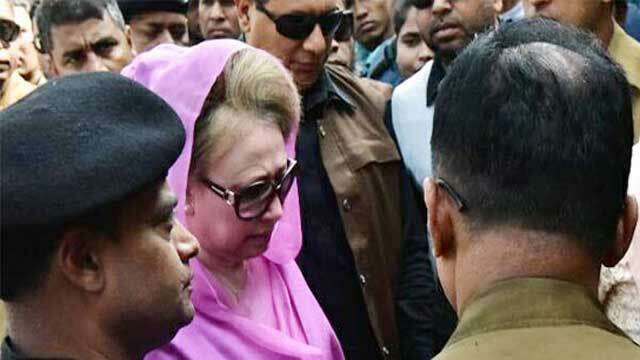 Dhaka, Dec 27 (Just News) : BNP Chairperson Khaleda Zia has appeared before a court in two cases -- the Zia Orphanage and the Zia Charitable Trust graft. The BNP chief arrived in the court around 11:00am on Wednesday, according her lawyer Sanaullah Mia. She also appeared before the court in two cases on Tuesday. The trial proceedings of the cases are running at the court of Dhaka's No. 5 Special Judge Dr. Aktaruzzaman.